The Market at Pepper Place was established in 2000 in response to a growing need to help small family farms, and provide a connection between these family farmers and the people of Birmingham, Alabama. From our beginning with a few tents in the center parking lot of Pepper Place, we have now grown to over 100 tents spread across parking lots and streets around Pepper Place. Our attendance also has grown at times to over 10,000 people per Saturday at the height of the season. Originally running from Memorial Day until Labor Day, our market is now year-round. All of our vendors are based in Alabama, from a geographic range of up to 200 miles from The Market. The farmers who sell to you at The Market are the actual growers, joined by their family members and friends. Often we see three generations working the market together; evidence that our farmers markets are making a difference in the viability of small Alabama family farms. The Market offerings change with the seasons, with wonderful bedding plants, herbs, lettuces, asparagus, and strawberries in the spring, and blackberries, blueberries, peaches, mushrooms, sweet corn and tomatoes in summer, to name a few. As we progress into fall, we see a variety of root vegetables, squashes, greens, sweet potatoes, pumpkins and wonderful greenery to decorate for the holidays. We also offer cheeses, eggs, meats, honey, breads, pastries and canned goods from an array of vendors. Originally developed in the late 19th century, the historic Lakeview District is named for an artificial lake and other attractions that defined the former Lakeview Park. The park contained the Lakeview Hotel and Pavilion, complete with a swimming pool, skating rink, bowling alley, and ball park that was home to the first Alabama-Auburn football game in 1893. Rolling hills and wooded countryside enhanced the landscape, and the fashionable residences of South Highlands, as well as an electric trolley constructed around 1895, surrounded the lake. The present day Lakeview District bears few of these original attractions, but the area has continued to flourish throughout its varied history. The area grew during the late 1920s when depression-era Birmingham saw a need to diversify its economy from the steel industry. The Birmingham Kiwanis Club investigated the possibilities of future industrial development, stressing the need for industries that would provide employment for women, who made up only five percent of industrial wage earners in Birmingham at that time. This initiative, as well as the completion of the 24th Street viaduct in 1926, sparked further growth of the district, which soon became home to new businesses such as the Martin Biscuit Company and the Dr. Pepper Syrup Plant. The subsequent growth resulted in the North Lakeview Light Industrial District, featuring warehousing and light manufacturing. The redevelopment by Sloss Real Estate of the Dr. Pepper Syrup Plant, Martin Biscuit building as well as other buildings in the area sparked the creation of the Lakeview Design District. This district is a catalytic nexus connecting the St. Vincent's Hospital campus, the Lakeview entertainment District, Sloss Furnaces National Historical Monument, the Railroad Park, University of Alabama at Birmingham and other Birmingham neighborhoods. The Pepper Place Market District includes Pepper Place, the Martin Biscuit Building, and the Ferguson showroom and warehouse. Many other independent businesses have located in the area to enjoy the synergy of an emerging, vibrant design and entertainment district. Formerly the Dr. Pepper Syrup Plant and Bottling Company, the Pepper Place Market District is a group of seven buildings totaling more than 227,000 square feet. After undergoing extensive renovation, the complex currently houses Birmingham's premier design center as well as the Farmers’ Market, the Terrific New Theater, restaurants, and numerous shops, galleries, and businesses. Sloss Real Estate Company and Cathy Sloss Jones spearheaded this redevelopment and are responsible for leasing and managing the complex. The focal point of Birmingham’s Lakeview Design and Entertainment District, Pepper Place, is among Birmingham's 24 commercial revitalization districts that are subject to design review protection. This highly visible renovation project has been celebrated in numerous newspaper and magazine articles and a CNN television feature. The Sloss family has been shaping the skyline of Birmingham, Alabama for over a century. Colonel James Withers Sloss founded the giant furnaces on in 1882, forging the Magic City’s future in iron and steel. Founded by A. Page Sloss in 1920, and later led by A. Page Sloss, Jr., Sloss Real Estate remains a family business. Today, the Colonel’s great-great granddaughter serves as president of Sloss Real Estate, a collection of companies that continue to redefine the city’s future through a variety of urban renovation and construction projects. 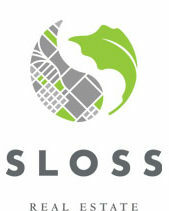 Sloss Real Estate is a company that believes the city of Birmingham itself serves as a touchstone for the entire metropolitan area, and works tirelessly to revitalize and enhance the city’s unique commercial districts.